Nobody wants their dog to get fleas. Ticks are no picnic either. Some of us have dogs with pretty severe flea allergies, which complicates matters even more. Unfortunately, conventional flea and tick products are really just chemical pesticides. … Well, let’s take look at 3 common active ingredients found in pharmaceutical flea and tick products and you can decide how you feel about their safety. Dr Deva Khalsa VMD, citing the EPA’s Pesticide Division, says that fipronil enters the body and can be contained in the fat, organs, urine and feces of dogs. Freaked out yet? Well, we’re not done. When exposed to light, fipronil breaks down into a molecule called fipronil-desulfinyl which, according to the EPA, is ten times more toxic than the fipronil itself. This means you don’t want to put the plastic vials of fipronil products in the sun, don’t let your dog bake in the sun after application and avoid the sun for short-haired dogs using fipronil products. [RELATED] Fipronil is the main ingredient in Frontline. And its adverse events are well reported. Many people think the pyrethrins (naturally occurring compounds from the chrysanthemum plant) and pyrethroids (the synthetic counterpart) are less hazardous than fipronil. Sadly, that is not the case. A big holistic motto is: healthy dogs attract less fleas. The Center for Public Integrity found that from 2002 through 2007 at least 1,600 pet deaths from pyrethroid spot-on treatments were reported to the EPA. That’s nearly double the number of reported fatalities linked to flea and tick products without pyrethroids. CPI’s project was based on an analysis of 90,000 adverse reaction reports. Keep in mind that many adverse reactions are not reported so the actual number could be much higher, according to Khalsa. Pyrethroid spot-on products also accounted for more than half of the major pesticide pet reactions, including brain damage, heart attacks and seizures. [RELATED] What about those popular pyrethroid bandanas? Are they safe? Here’s more on that. Imidacloprid is a systemic insecticide found in flea and tick products that acts as an insect neurotoxin and belongs to a class of chemicals called the neonicotinoids, says Khalsa. Neonicotinoids are a class of insecticides acting on the central nervous system of insects with lower toxicity to mammals. In lab studies, imidacloprid has been found to cause thyroid lesions and liver toxicity, increase cholesterol levels (which is commonly seen in the bloodwork of hypothyroid dogs), and has the potential to damage the kidneys, liver, thyroid, heart, lungs, spleen, adrenal, brain and gonads. Not a real pretty picture, is it? So, is our only option to let our beloved dogs suffer with the terrible discomfort of a flea infestation or the disease risks that ticks bring? Fortunately, no. Feed a raw, whole foods, species-appropriate diet. Avoid chemicals, including pesticides, fertilizers and toxic cleaners. Minimize vaccines and pharmaceutical drugs. Give finely diced fresh organic garlic every day. Allow it to sit for 10 minutes before adding it to your dog’s meal. A large dog can eat two decent-sized cloves of garlic daily while a small dog can have one small clove. Also, use a non-detergent shampoo like a Castile soap-based dog shampoo so that you don’t strip the garlic essence out of his fur. For dogs who are more at risk for fleas and ticks because of their environment, try amber collars, electromagnetic tags, spray your dog’s underside lightly with a natural protective spray or sprinkle food-grade diatomaceous earth into your dog’s coat. [RELATED] There are several different things you can use diatomaceous earth for. There are 5 right here. Essential oils can often come to the rescue when it comes to repelling fleas and ticks. The two kinds of insects are repelled by different oils, so if your dog needs protection against both, use one of the following blends in the morning and the other in the afternoon to avoid over-application. Application frequency depends on how healthy your dog is. 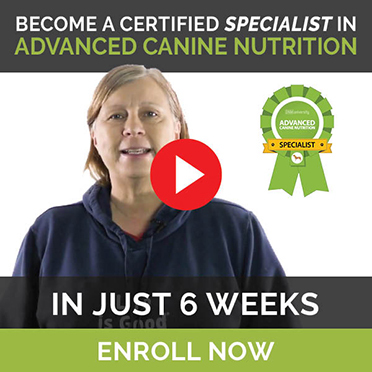 Extremely healthy dogs eating a natural raw diet may only need an application once a week. These essential oil recipes are from Holistic Aromatherapy for Animals: A Comprehensive Guide to the Use of Essential Oils and Hydrosols with Animals by Kristen Leigh Bell. Chemical flea and tick products really are dangerous. But there are natural alternatives… It all really starts with a healthy dog eating what he’s supposed to be eating – a raw, species-appropriate diet. 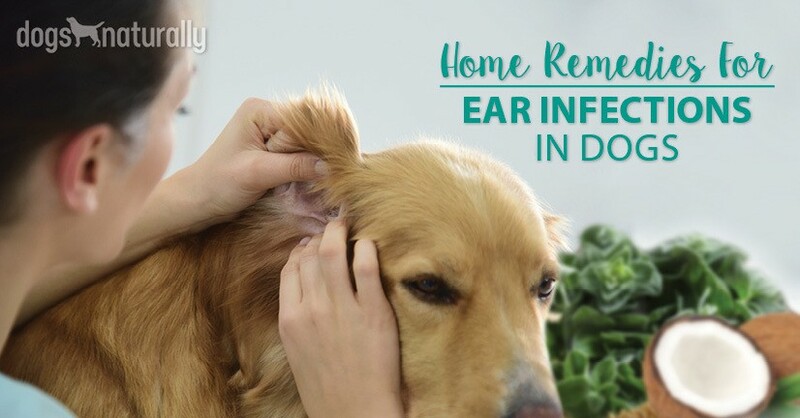 Beyond that, there are many natural solutions that with a little experimentation can help keep your dog pest-free.